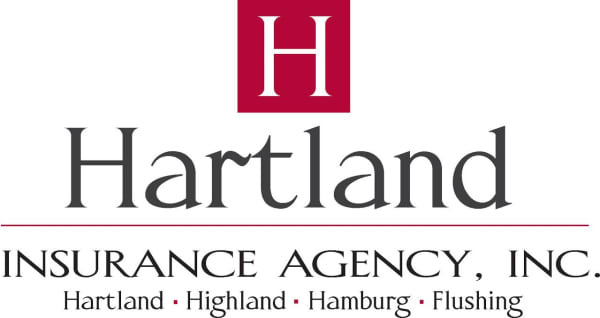 Dinner With A Heart - Feb 22, 2019 - Hartland Area Chamber of Commerce, MI ? 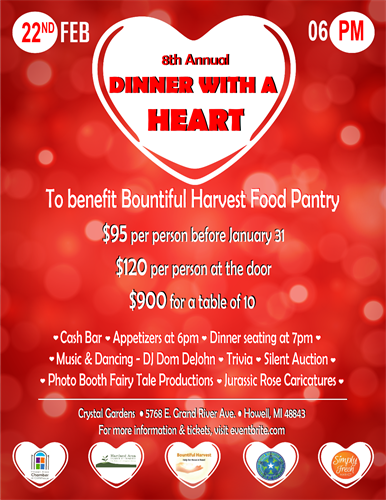 Fundraiser for Bountiful Harvest! Proceeds used to run Bountiful Harvest. Cash Bar, Music and Dancing by DJ Dom DeJohn, Trivia, Jurassic Park Caricature Artist, Fairytale Productions Photo Booth, Silent Auction. Come one, come all, tons of fun for a great cause.